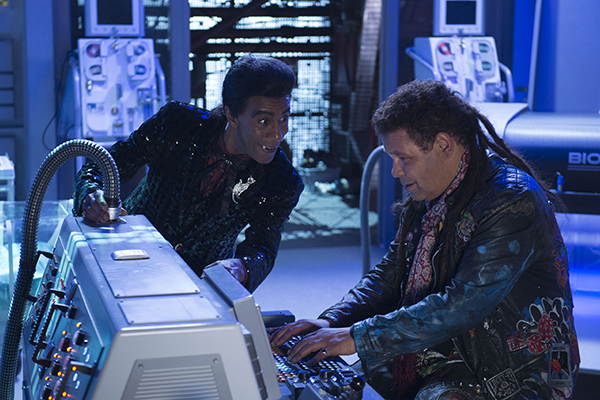 With a new year dawning, and a new Blu-ray set out in the world, we're finding that a good number of fans both old and new have been coming to us on social media to ask us questions about Red Dwarf. Some of them are about the new boxset, some are about the future of the show, others are just wondering if we know that there's a kitchen appliance brand called "Smeg". So with that in mind, we thought it was a good time to give our Frequently Asked Questions list a bit of a freshening up. We've updated the answers to some of the questions, and added in some new ones that we're finding ourselves asked more and more. Plus some that we might not have been directly asked yet but we bet some of you were just thinking about anyway. Hopefully we've taken care of a good chunk of your most burning queries as a result, but do remember that we're active on Twitter and Facebook if you want to get in touch and ask us about anything we've missed. Who knows, we might even answer you with a further update on the site if we're feeling especially generous. And no, we don't want any toast. Check out the updated FAQ section now!